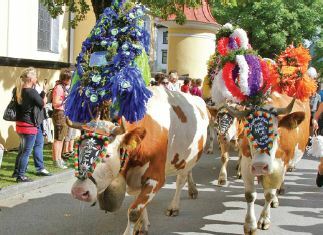 Traditional Tyrolean hospitality with top-quality cuisine and service, conveniently situated in the village centre with a bus stop nearby. Hotel Büntali has a very loyal following of Inghams guests thanks to the welcoming Türtscher family. The fantastic value ‘Ischgl & Galtür - Silvretta card’ is available from your hotel and gives you. Join your Rep and other Inghams guests for an afternoon valley walk from Galtür through the gorge and riverside to Ischgl, stopping at Mathon Wildpark for lunch. Approx €8 (pay locally). Getting around | The excellent cable-car and chairlift network throughout the region make it possible to access the furthest most pristine and highest points of the valley before turning home. All lifts and buses are FREE with the resort card. Paznaun Valley Stroll - This is an easy level guided walk which can be enjoyed by all. We visit many great local places of interest such as the Mathon Wildlife Park. Silvretta Lake - The route begins from the Bielerhohe and around the Silvretta lake. The location offers superb views over the lake, mountain peaks and descends down the High Alpine Road towards the village of Galtur. Jamtalhutte Hikers walk - From the resort of Galtur up sloping paths, past the mountain range of Gorfenspitze and alms of menta, Schnapfen and Scheiben. See Scottish Highlinder cows, gushing streams - then upwards towards the Jamtalhutte. Tourist Office Walks | Ischgl tourist office also runs a programme of guided walks with qualified mountain guides in Ischgl, Galtür, Kappel and See. Two Centres | Combine your stay in Galtür with 3, 4 or 7 nights in another resort in Austria or the Italian Dolomites.